A gruesome tableau awaits Inspector Konrad Sejer in the oppressive summer heat: a woman and a young boy lay dead in a pool of blood near a dank trailer. The motivation behind the deaths of Bonnie Hayden and her five-year-old son, Simon, is mysterious—there is no sign of robbery. Who would brutally stab a defenseless woman and her child? In a parallel story, another mother, Mass Malthe, navigates life with her adult son, Eddie. It's a relationship some would call too close, since Eddie's father, a man he obsesses over, abandoned them many years ago. 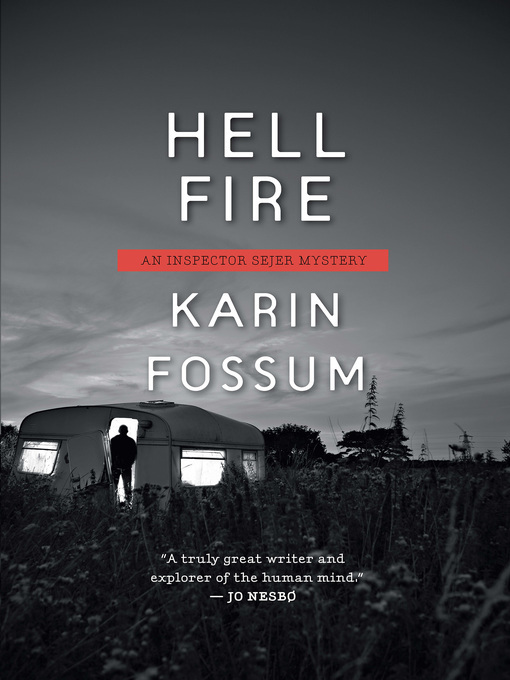 As Sejer searches for the truth behind the seemingly senseless killings, Hell Fire deftly probes why we lie to those closest to us, and what drives people to commit the most horrific of crimes.